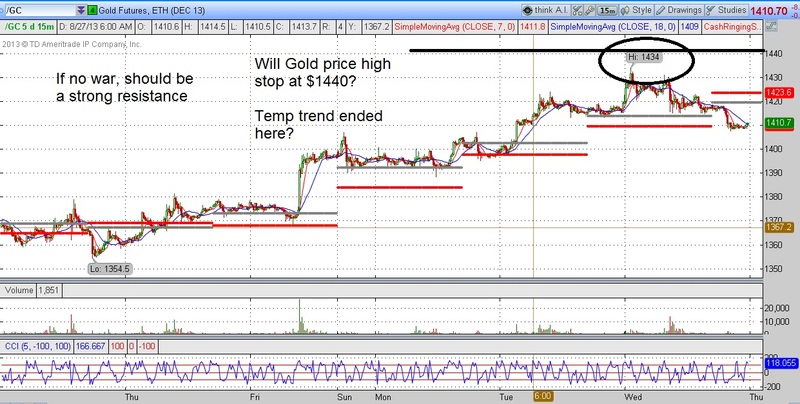 Daniel Loh: Gold price resistance at $1440, has uptrend halted? 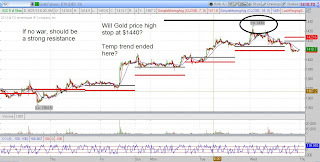 Gold price resistance at $1440, has uptrend halted? Gold likes War, and with Syria war possibility around, Gold shoots up! But even with Syria war, we think this uptrend is short lived. Gold is still on a long term down trend.